We continue to struggle with and lose an astounding number of kids with social, emotional and behavioral challenges, because we handle them in ways that don’t work. They end up in detention and suspension, dropping out, on the streets, in restrictive therapeutic facilities and jail. All because we have a poor understanding of why they’re challenging and apply interventions that are punitive and obsolete. Research in the neurosciences over the past 30 years has helped us understand that challenging behavior is a form of developmental delay. In other words, challenging kids lack crucial cognitive skills related to flexibility, adaptability, frustration tolerance and problem solving. Dr. Greene’s compassionate, effective, evidence-based model of solving problems collaboratively is a departure from conventional wisdom and reflects what we now know about challenging kids and how to help them. 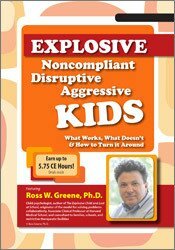 Dr. Greene is a leading authority on challenging behavior and will revolutionize your approach to working with Explosive, Noncompliant, Disruptive, Aggressive Kids. His humorous, engaging and dynamic style along with the use of case studies and demonstrations will help you better understand challenging kids, better assess their needs and intervene in ways that actually help. Multi-disc audio recording (5 hours, 40 minutes) with electronic manual and instructions. Ross W. Greene, Ph.D., is adjunct Associate Professor in the Department of Psychology at Virginia Tech and the founding director of the non-profit Lives in the Balance (www.livesinthebalance.org). He served on the faculty at Harvard Medical School for over 20 years. Dr. Greene is the originator of an empirically supported model of psychosocial treatment for challenging kids now called Collaborative & Proactive Solutions (CPS). He is author of the highly-acclaimed books The Explosive Child and Lost at School and has also authored numerous articles, chapters and scientific papers on the effectiveness of the CPS model, the classification of and outcomes in youth with social, emotional and behavioral challenges and student-teacher compatibility. 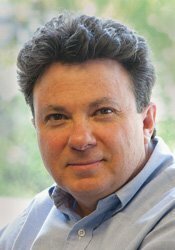 Dr. Greene's research has been funded by, among others, the Stanley Research Institute, the National Institute on Drug Abuse/National Institutes of Mental Health, the U.S. Department of Education, and the Maine Juvenile Justice Advisory Group. He consults extensively to families, general and special education schools, inpatient and residential facilities, and systems of juvenile detention, and lectures widely throughout the world. This intermediate self-study activity consists of 5.75 clock hours of continuing education instruction. Credit requirements and approvals vary per state board regulations. Please save the course outline, the certificate of completion you receive from the activity and contact your state board or organization to determine specific filing requirements. This course consists of 5.75 self-study clock hours. Credit requirements and approvals vary per state board regulations. Please save the course outline, the certificate of completion you receive from this self-study activity and contact your state board or organization to determine specific filing requirements. 5.5 ISBE Professional Development (PD) Clock Hours will be made available through Quincy University. Those requesting ISBE PD Clock Hours will need to complete additional steps in order to receive the ISBE “Evidence of Completion for Professional Development” form. Expires: 06/30/20**. Indiana Educators: 5.0 Professional Growth Points are available for full attendance of this self-study package per the Indiana Department of Education standards. Montana Educators: This self-study package is offered for 5.0 Renewal Units. PESI, Inc. is an Approved Renewal Unit Provider with the Montana Office of Public Instruction. New Jersey Educators, Administrators & Education Services Personnel: 5.5 Actual Professional Development Hours (self-study). MEDS-PDN, powered by PESI, Inc., is a registered New Jersey Professional Development Provider with the NJ Dept of Education. Texas Educators: PESI, Inc., has been approved as a CPE Provider #500-981 for Texas Educators by the Texas State Board for Educator Certification (SBED). This self-study package qualifies for 5.5 CPE clock hours. This self-study activity consists of 5.75 clock hours of continuing education instruction. Credit requirements and approvals vary per state board regulations. Please save the course outline, the certificate of completion you receive from this self-study activity and contact your state board or organization to determine specific filing requirements. Illinois Marriage & Family Therapists: PESI, Inc. has been approved as a provider of continuing education by the State of Illinois, Department of Professional Regulation. Provider #: 168-000156. Full attendance at this self-study activity qualifies for 5.5 credits. Texas Marriage & Family Therapists: PESI, Inc. has been approved as a continuing education sponsor through the Texas State Board of Examiners of Marriage and Family Therapists. Provider #: 503. This self-study activity qualifies for 5.5 continuing education credits. This intermediate activity consists of 5.5 clock hours of continuing education instruction. Credit requirements and approvals vary per state board regulations. Please contact your licensing board to determine if they accept programs or providers approved by other national or state licensing boards. A certificate of attendance will be awarded at the end of the program to participants who are in full attendance and who complete the program evaluation. California Nurses: PESI, Inc. is a provider approved by the California Board of Registered Nursing, Provider #:17118 for 5.5 self-study contact hours. Florida Nurses: PESI, Inc. is an approved provider by the Florida Board of Nursing. Provider #: FBN2858. These materials qualify for 5.5 self-study contact hours. Iowa Nurses: PESI, Inc. is an approved provider by the Iowa Board of Nursing. Provider #: 346. Nurses successfully completing these self-study materials will earn 7.0 self-study contact hours. Florida Occupational Therapists & Occupational Therapy Assistant: PESI, Inc. is an approved provider with the Florida Board of Occupational Therapy. Provider Number 50-399. This self-study course qualifies for 5.8 continuing education credits. New York Physical Therapists & Physical Therapist Assistants: PESI, Inc. is recognized by the New York State Education Department, State Board for Physical Therapy as an approved provider for physical therapy and physical therapy assistant continuing education. This self-study course qualifies for 7.0 contact hours. This self-study activity consists of 5.75 clock hours of continuing education instruction. Credit requirements and approvals vary per state board regulations. Please save the course outline and the certificate of completion you receive from this self-study activity. Contact us for more information on your state board or organization specific filing requirements. American Psychological Association credits are not available. Florida Board of Psychology: PESI, Inc., is an approved provider with the Florida Board of Psychology. Provider Number 50-399. This product qualifies for 5.8 self-study continuing education credits. Please make sure to bring your license number to the seminar so that we can report your attendance to CE Brokers. Florida Social Workers/Marriage & Family Therapists/Mental Health Counselors: PESI, Inc. is an approved provider with the Florida Board of Clinical Social Work, Marriage and Family Therapy and Mental Health Counseling. Provider Number 50-399. This self-study course qualifies for 5.75 continuing education credits. Illinois Social Workers: PESI, Inc. is an approved provider with the State of Illinois, Department of Professional Regulation. License #: 159-000154. Successful completion of this self-study activity qualifies for 5.5 contact hours. Minnesota Social Workers: PESI, Inc. is an approved provider with the State of Minnesota, Board of Social Work. Provider #: CEP-140. This self-study course has been approved for 5.5 continuing education hours. A certificate will be issued upon successful completion of a post-test. Ohio Social Workers/Counselors/Marriage & Family Therapists: PESI, Inc. is an approved provider with the State of Ohio Counselor, Social Worker and Marriage & Family Therapist Board. Provider approval #: RCST071001. Successful completion of this self-study course meets the qualifications for 5.75 clock hours of continuing education credit. Pennsylvania Social Workers/Counselors/Marriage & Family Therapists: This intermediate activity consists of 5.5 clock hours of continuing education instruction. Credit requirements and approvals vary per state board regulations. Please contact your licensing board to determine if they accept programs or providers approved by other national or state licensing boards. A certificate of attendance will be awarded at the end of the program to participants who are in full attendance and who complete the program evaluation. Full attendance is required, variable credits may not be awarded per the Pennsylvania State Board. This self-study activity qualifies for 5.75 clock hours of instructional content as required by many national, state and local licensing boards and professional organizations. Retain your certificate of completion and contact your board or organization for specific filing requirements.